It’s no coincidence that National Customer Service Week is celebrated this late on the calendar; it’s the unofficial launch of the biggest shopping experience of the year as the holiday season closes in and shoppers start counting down the days to family and friend celebrations. And in anticipation of the “happiest time of the year,” customer service demands rise to the top of the leader board. Statistics reflect over two-million employees working in the customer service industry, and this week long celebration serves as a reminder to businesses the importance of recognizing those representatives in the front lines who tend to the business of the day by successfully interacting with customers and clients. Why not use this time of the year to develop new customer service ideas that can reward, recognize, and help to advance the talents of these critically important employees? In the overwhelmingly successful business called Zappos, their philosophy, culture, and obsession with customer service has changed the 1999 Internet shoe business to shoes, clothing and more with annual revenues of over one billion dollars. It’s a company that listens to the voices of the customers and uses the feedback to help train team members become successful which in turn boosts morale, and at the same time motivates employees to want to do better – all in a positive atmosphere where employees enjoy coming to work. So what has made Tony Hseih’s Zappos’ experience so popular and successful? 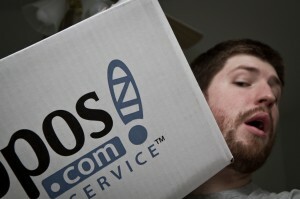 Without a doubt, Zappos delivers “WOW” service. Although the commercials and advertisements may appear a bit quirky, they make you smile. From the moment you visit the website, you are guaranteed free shipping, immediate delivery, 365-day return policies, and a host of good-natured and efficient customer service personnel right at your fingertips or on the phone should any part of your shopping experience go awry. Of course, the cream of the crop associates don’t just pop out by filling out a job application, and after an extensive training program coupled with the obsession of the organization’s core values and culture, new associates become part of the “family” and even share in the future success by profit sharing. One may find it interesting that Zappos is not known for their competitive salaries; in fact salaries are considerably lower, but factor in free food, a comprehensive medical plan, and a place where employees share the pride and professionalism of a business where even managers are encouraged to hang out with their employees in a happy place, the motivation for coming on board certainly becomes attractive. Where employees are encouraged to voice their complaints, where learning experiences are based on following other good examples, and where employees are encouraged to volunteer and have fun when not working adds up to a working environment that revolves around happiness. Perhaps the most fun a visitor might notice as you go on a tour of the Las Vegas Zappos facility are the delightfully creative decorations at each employee’s cubicle – ranging from someone’s fanciful interest to Tony Hseih’s jungle theme cubicle thickly decorated with plastic palm trees and hanging stuffed monkeys. It’s a place to be adventuresome, learn, and grow. It’s a place where humility and passion have just the right mix, and it’s a place where National Customer Service Week and the appreciation of customer service representatives is surely celebrated.